You've probably seen that quote going around that gives the definition of a boy, "noise with dirt on it". Whomever created that quote has obviously not met my little girl! I cannot keep this girl out of the dirt! We have a perfectly nice grass-covered backyard for her to play in and yet she always finds the little spots of dirt and plays there. We recently did some work in the yard and added a fence, so we have some areas that are dirt covered at the moment--and she goes right for these areas! There have been days where I've had to give her three baths. 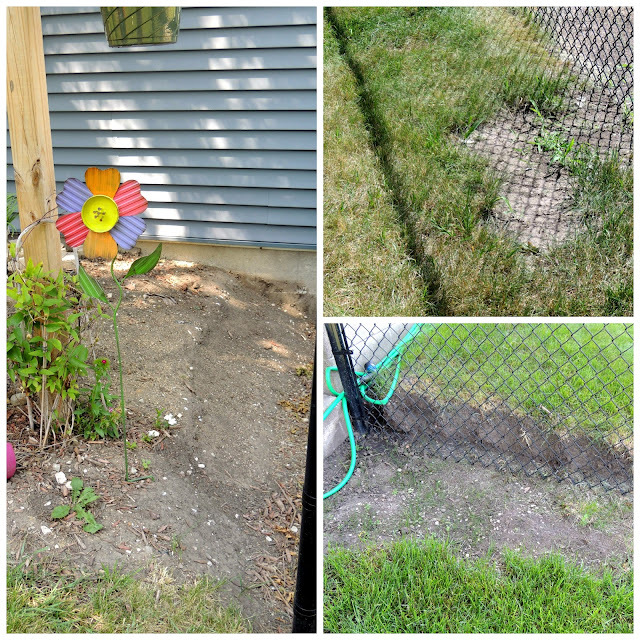 If she plays in the sprinkler or her water table, her next stop is the dirt. You can about imagine what her clothes look like after that! Whether she's playing in the sprinkler, getting covered in dirt, or driving her little Cozy Coupe car--this girl likes to play hard! Thank goodness for all® free clear detergent! It the #1 detergent recommended by Dermatologists, Allergists, and Pediatricians for Sensitive Skin--which is perfect for her delicate skin and even better for my allergies. It actually removes 99% of everyday and seasonal allergies, including cat and dog dander, dust mite matter, ragweed, grass, and tree pollen. Of course, all® free clear detergent is not intended to treat or prevent allergies. I've used all® free clear liquid detergent for a long time now because I found that it really helps with my allergies. The strong scents of some detergents out there are just overwhelming to the senses! I don't know how people can walk around all day in such strong smelling clothes. Seasonal allergies are bad enough, I don't want to have reactions to the scents left from my laundry detergent. 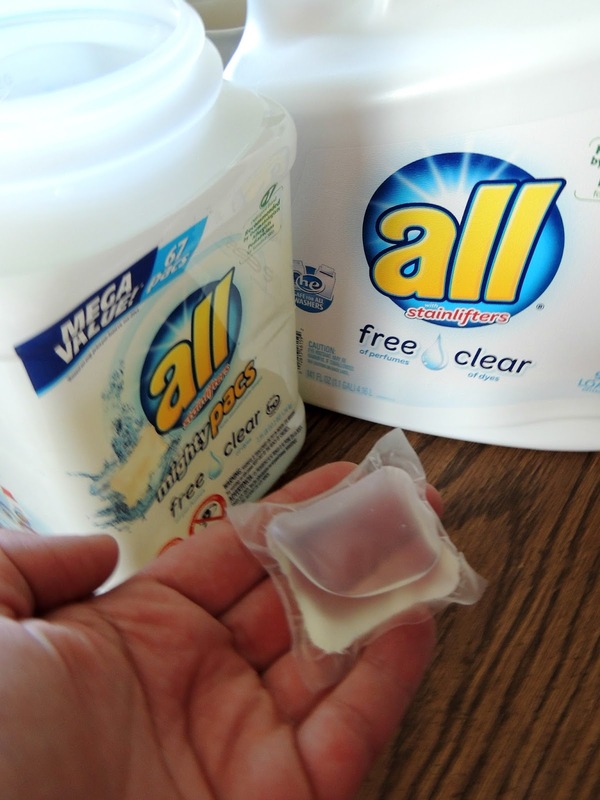 I recently purchased the all® free clear Mighty Pacs® and I also use the all® free clear dryer sheets. For all products, make sure to follow the directions for use on the packaging exactly. Make sure to keep out of reach of children! 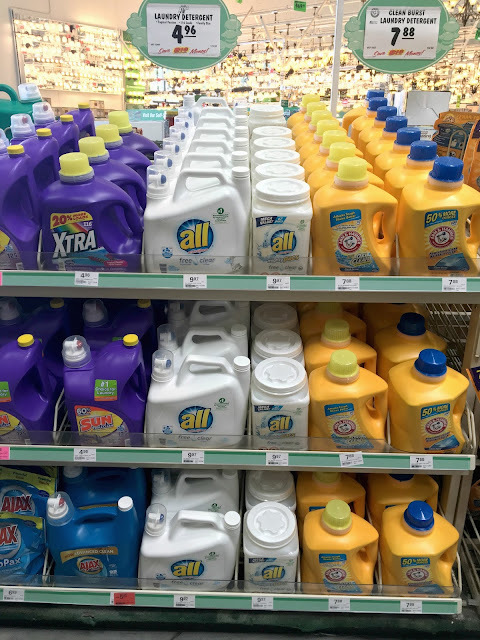 I buy all® free clear detergent at Menards. It's found near the cleaning supplies, usually at the front of the store. Speaking of the Cozy Coupe, this was a project I worked on for Little Miss Sunshine's birthday present! I had so much fun working on it and she absolutely loves it. Look how excited she was to receive it on her birthday. It is surprisingly simple to do a Cozy Coupe makeover and is inexpensive to do. 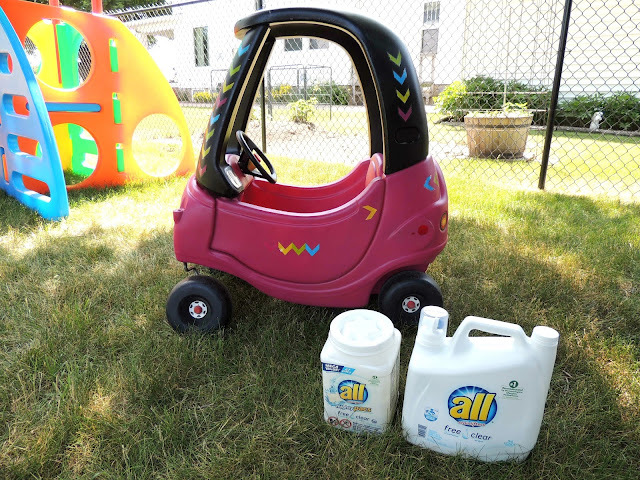 Just watch garage sales or for sale groups-- you're sure to find a Cozy Coupe. I had rebates on the paint too. 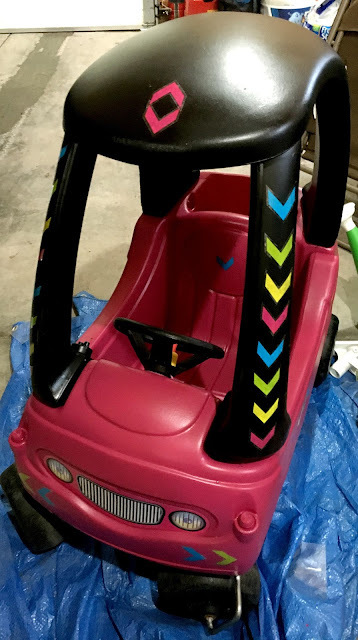 I'll walk you through how I completed this Cozy Coupe makeover. It's the perfect pink car for a girl! 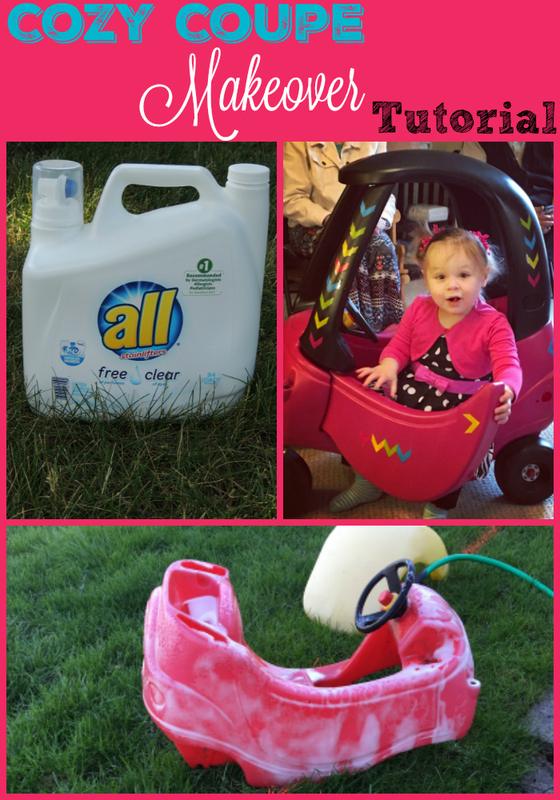 Just watch garage sales or for sale groups-- you're sure to find a Cozy Coupe. My only suggestion is to make sure all of the parts are in good condition. For example, the one I bought had a broken gas cap and those are a little pricey to replace. 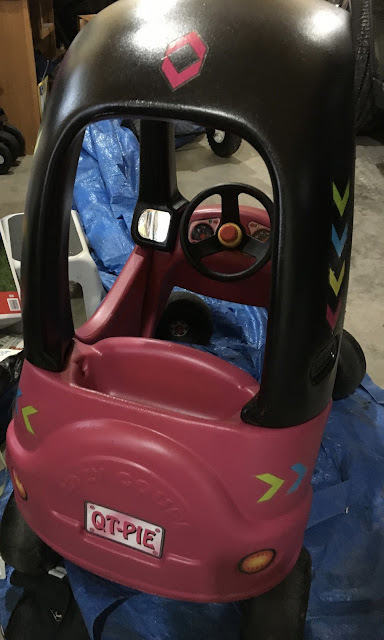 Unfortunately, I didn't find that out until after I had purchased it--so our Cozy Coupe is missing a gas cap for now. Here is the Cozy Coupe, as we purchased it. It was really dirty, the stickers were missing or ripped, etc. To be honest, Little Miss Sunshine didn't care one bit! It's surprisingly simple to disassemble a Cozy Coupe. Look for the screws and unscrew them. They will be different depending on the vintage that you buy. I left the steering wheel attached and covered it during painting. If you so choose, you can keep the tires on and just cover the with plastic bags so they don't get paint on them. There's not really an easy way to remove them without breaking something. Whatever you do, make sure to keep all of the parts in a safe place. I put them in a baggy to keep them all together. 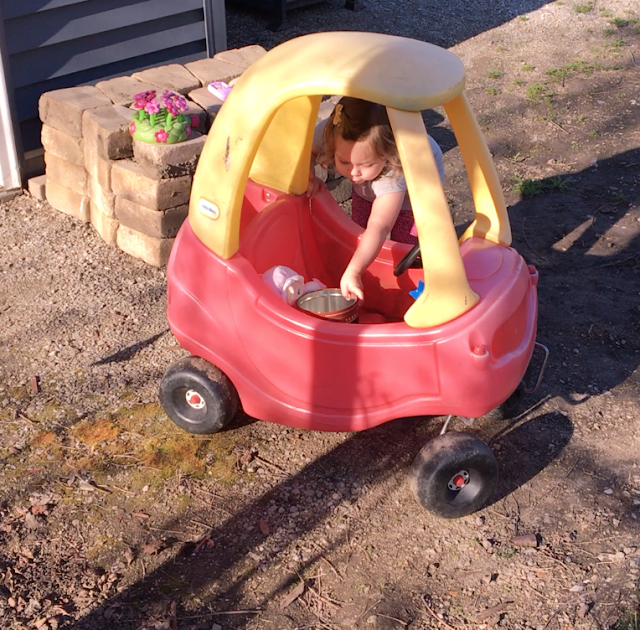 I told you-- she really, really loves her Cozy Coupe! Next, you'll need to get to cleaning. You'll want to scrub each piece with a brush to remove all the dirt. This will ensure that the paint adheres. Rinse the car well to remove the soap. Lay all of the car pieces out on a tarp and allow them to dry. It helps to have it outside in the sun. Next comes the fun part-- painting! I used a paint formulated for plastic-- it was a paint & primer in one. I used two colors for this project, Magenta and Canyon Black. I needed two cans of the Magenta since I used a lot more of that than the Canyon Black. Lay the pieces out on a tarp to paint. Cover the steering wheel with a plastic bag to protect it from the paint. It took a couple of coats for each piece, allowing time in between to dry. 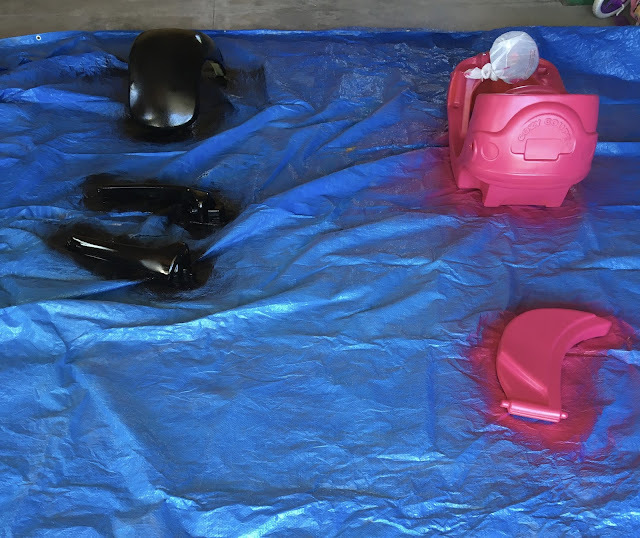 Once the paint has fully dried, you are ready to reassemble the Cozy Coupe. Once that's completed, you can add any finishing touches that you want. I purchased replacement Cozy Coupe stickers on eBay. They have some really cute stickers listed! Just make sure to buy the right stickers for the vintage Cozy Coupe you are working with. I also decorated this car with stickers that I found on clearance for just a few cents. Tip: make sure the stickers have good adhesive. There are so many possibilities for Cozy Coupe Makeovers. 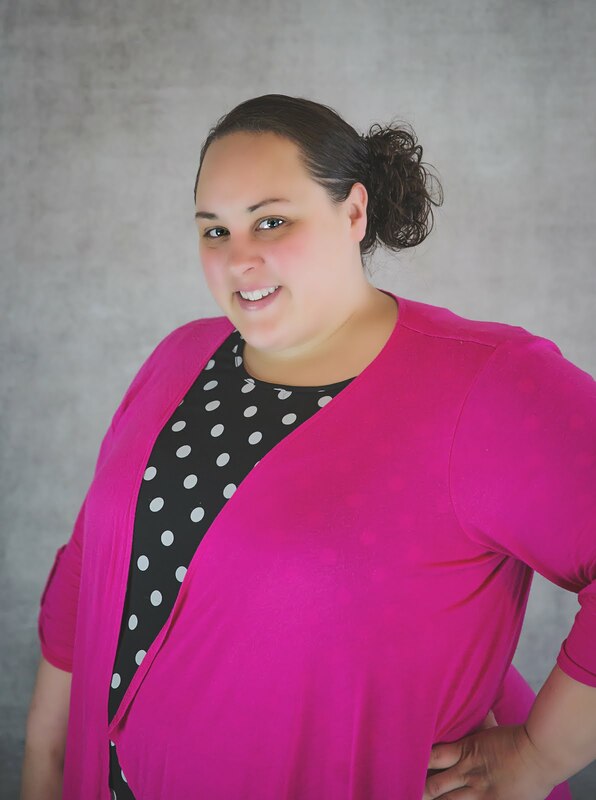 If you need ideas, just search for them on Pinterest! 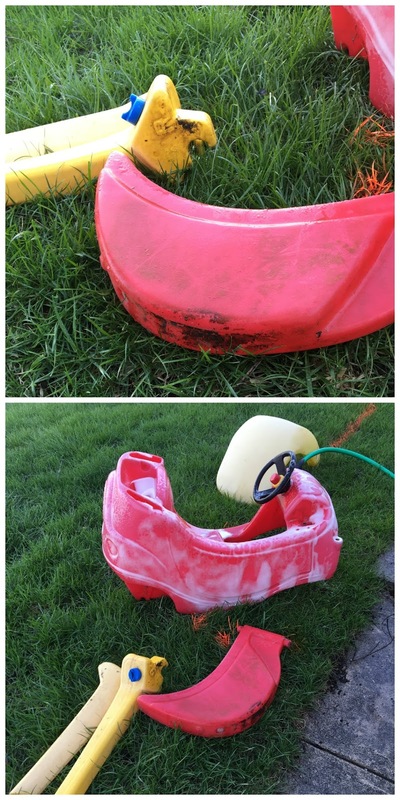 Since these pictures were taken, the little one has dumped dirt on this car multiple times. I just can't keep her out of that dirt! 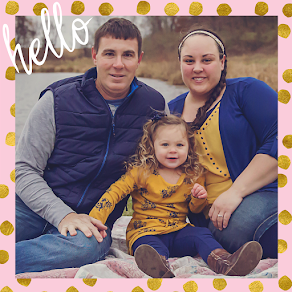 You can continue the conversation in the all® free clear community and connect with parents just like you! Give it a try and buy all® free clear detergent. 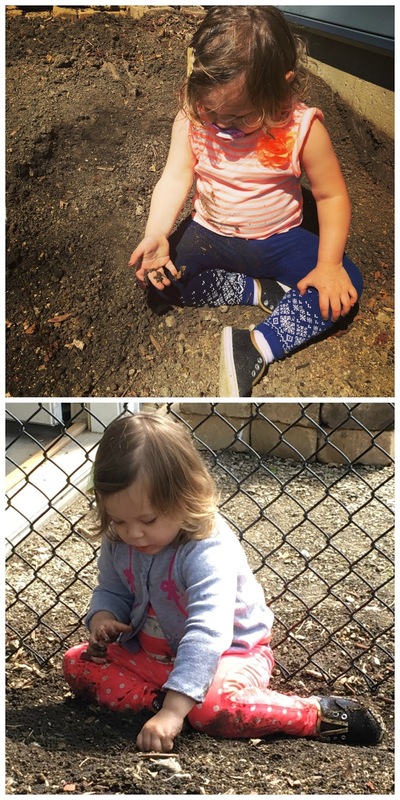 Does your little one like to play hard and get dirty? Share a story in the comments!